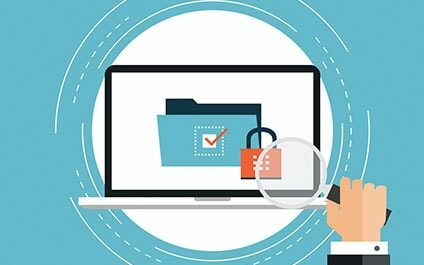 Network security is the process of adopting policies and practices to prevent and monitor unauthorized access, misuse or modification of a computer network and resources that are accessible by those networks. It involves the authorization to the data in a network which is operated by an administrator. Network security covers a variety of computer networks that are used in everyday transactions and communications conducted by businesses, government organizations, and individuals, among them. There are types of attacks that can be used to disrupt the flow of data and attackers mostly target large businesses and government agencies to take revenge of some sort or to steal confidential information that can be critical to the organizations. Every security system depends upon trust among the organization and service providers, now there are two types of trust in technical terms, a Third-Party Trust and Direct Trust. Third-Party Trust refers to two parties trusting each other implicitly even though they haven’t even met each other before, in this situation the two parties trust each other because they share a relationship of trust with a common third party and that third party ensures that the both parties don’t back off on the agreement later on that process is called certification and the third party is called Certification Authority (CA). Direct Trust refers to a situation in which two individuals already have a trusting relationship between them. Where third party trust relies on a third party to establish trust, direct trust is based on an existing relationship of trust prior to exchanging secure information. The network security provider at Fort Lauderdale should be legitimate enough so that their services are good enough to meet your expectations or else your organization’s critical data could be at stake. Your network should not be accessible to every user, to refrain from potential attackers you need to authorize each and every user and device that connects to your network and that Is the work of your network service provider at Fort Lauderdale and if they are not able enough to identify attackers and hackers can easily hack your network and can impersonate as one of your employees and can steal important information from your network. The network security provider at Fort Lauderdale should have good anti malware software with them so that they can install in your network if they are not capable enough they will not detect malware that are planted in your network by attackers and it can cause a lot of critical problems in your network. The network providers should know what data is being sent and where, if one of the employees sends sensitive data outside of the network, the network providers should have Data Loss Prevention technologies so that they can prevent users from uploading, forwarding or even printing critical information in an unsafe manner. Firewalls put up a barrier between your trusted network and untrusted external networks. They use a set of defined rules to allow and block traffic and if firewalls are not available anyone can apply Denial Of Services (DoS) attacks on your network which can affect the speed of your network and the downtime of the network is increased. There are a lot of more risks and if the security provider is not trustworthy enough it can ruin your network.